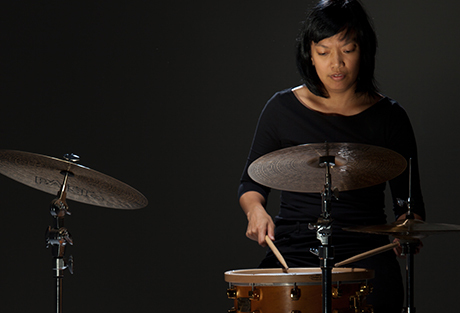 Working at the intersection of tradition and the avant-garde, composer/percussionist Susie Ibarra performs an original score to accompany exhibition artist Juan Sánchez's video tribute to Ana Mendieta, Madre Selva, along with solo percussion pieces. BRIC's Stoop Series illuminates the arts and life around us in Brooklyn through artistic performances, presentations, participatory activities and dynamic conversations. Explore music, visual art, film, media, storytelling, comedy, and other creative fields. There’s something different every week! * Admittance is still first come, first serve.